A social media challenge inspired by recent snowfalls forced Boston’s mayor to remind people that jumping out of windows into snow drifts is not a wise choice. For the last three weeks Boston residents have used snow banks to show off their courage by filming jump videos and posting them online under the hashtag #BostonBlizzardChallenge. 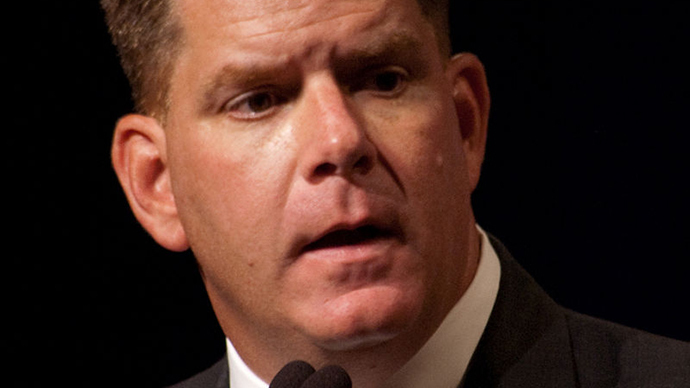 Walsh called for more responsibility, pointing out that local authorities are already busy enough with the snowfall to find time to spend on emergency calls from adults still thinking that jumping out of a window into the snow is a really funny thing to do. For those who can’t stop jumping, the mayor reminded that Boston is not the ski resort ‘Loon Mountain’. The resort immediately reacted by tweeting a video with snowboarders calling for Bostonians to be more responsible. Boston has almost sunk under 96 inches (244cm) of snow after a series of brutal winter storms that hit the East Coast. Walsh admitted that with so much snow the city is running out of space to put it. This February became the snowiest-ever month in the city with downfalls volumes of 10 times above average. And there is still no good news, with the National Weather Service predicting Boston might see yet another snowfall this weekend.